After complaints about there being nowhere to sit in the Pit were filed last week around noon, faculty members thought it necessary to designate seating for various students, in order to ensure a more cohesive atmosphere. 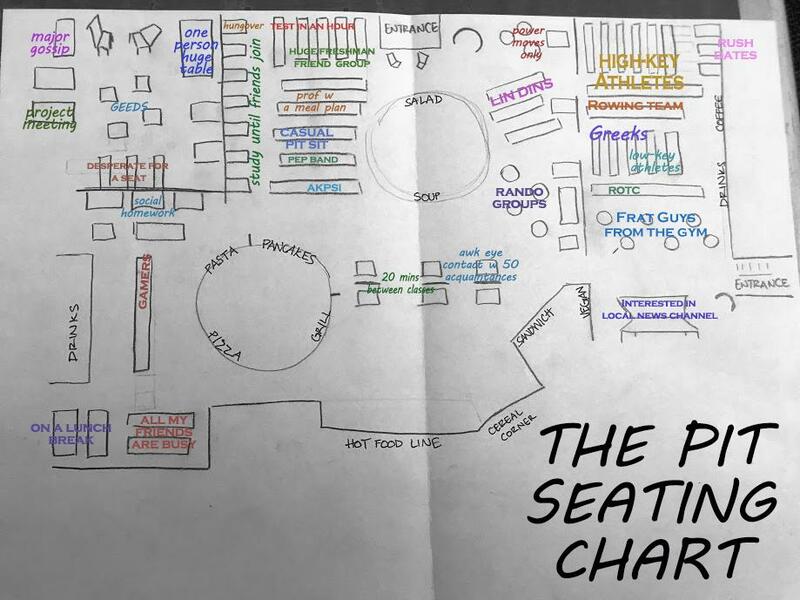 Although the new seating chart is extremely similar to how students already arrange themselves, administration is confident that this will make a huge difference, both in line length for the pasta station and in general volume levels. The proposed seating chart can be found here.